Alia, DuMez & McTernan, S.C. It's not just about results. Why Alia, DuMez & McTernan, S.C.? Our offices are easy to get to, and there's plenty of free parking. If you need directions to us from where you're located, feel free to call the office at (262) 654-8700. Whether you are injured because of someone’s negligence, buying a new home, starting a business or developing a new neighborhood, we can provide nearly a century of combined legal experience. 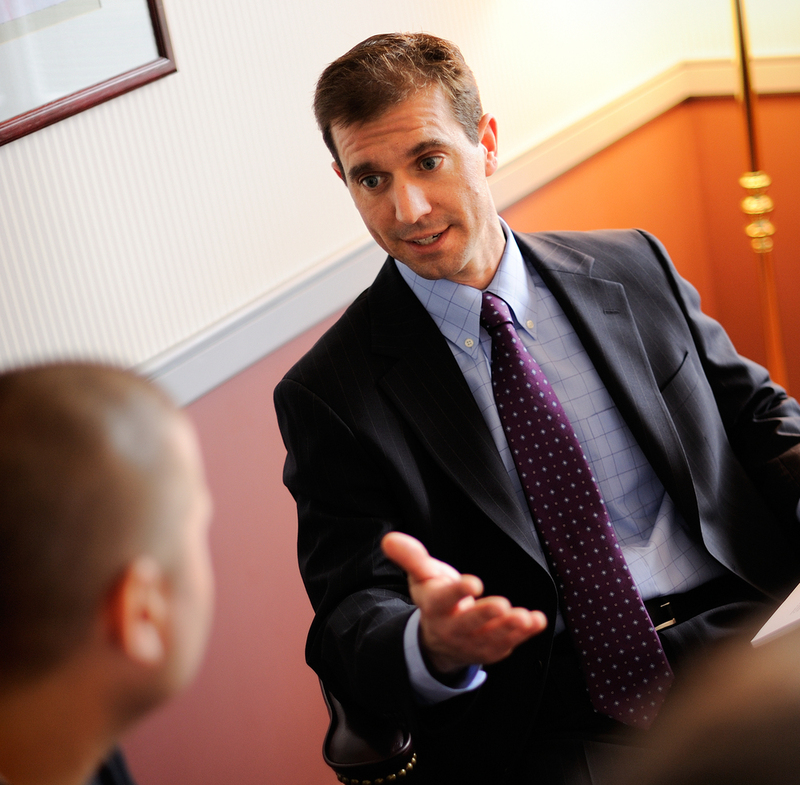 Our lawyers are familiar with the courts and the community. We are rooted in the community, and pride ourselves on being actively involved in our community and the fact that over 90% of our clients come to us by way of word of mouth. You won’t receive mail solicitations from us, nor will you see us on television, or a phonebook cover. Heck, we may not even be in the phonebook. But if you ask your friends and neighbors, or take the time to meet one of our attorneys, you will appreciate the difference, and understand why our clients not only choose us for their legal matters, but refer their family and friends to us. There is only one way to achieve success as your lawyer, and that is through the relentless pursuit of client objectives. When the other side blinks, we don’t. When they hesitate, we act. When they aren’t fully prepared, we’re over-prepared. That’s who we are at Alia, DuMez & McTernan, S.C.: relentless in the pursuit of success for our clients. Make no mistake; when you want a strong advocate, when you want results, you want us on your side! Alia, DuMez & McTernan, S.C., lawyers are innovative, aggressive, and result oriented. We provide high-quality. cost-effective legal services for a broad range of legal matters, from Personal Injury, Worker Compensation, Medical Malpractice, to Business, Corporate, Estate Planning & Probate. Serving throughout Kenosha, Racine and Southeastern Wisconsin. We are committed to providing personalized, responsive and efficient services. As a result, we enjoy long-standing relationships with clients who, in turn, recommend our firm to their friends and family. From estate planning to workers compensation, accidents to commercial law, the lawyers at Alia, DuMez & McTernan, S.C. are constantly seeking out ways to help you stay in the know. Their commitment to keeping you informed and giving you options includes articles and columns that highlight things you should consider, tips on making the right choices, and more. Your word is your bond...or is it? What is the role of an oral contract in real estate and how is it enforced? Find out here. What you should know that could save you money. Download here. What do you need to know before you install a fence? Find out here. Explore your options before you make a real estate investment here. Is it a bargain or buyer beware? Find out how to minimize your risk here. What you should know about "title insurance" to make sure you're covered. Download here. What if your buyer does not have sufficient funds and can’t obtain financing from a lender? Find out here. Why Can't You Paint Your House Hot Pink? Maybe you can, but you better check with your neighborhood zoning ordinances first. Find out why here. How your drinking water gets into your home makes a difference. Find out why here. "Residents oppose plan for test track at Parkside"—J. Michael McTernan quoted in the news recently. Download and read recent articles written by our lawyers on the legal topics that matter to you most. Click any of the links shown to get started. Or feel free to give us a call at (262) 654-8700. Thank you. Someone from the Alia, DiMuz, Dunn and McTernan office will be in contact with you soon.